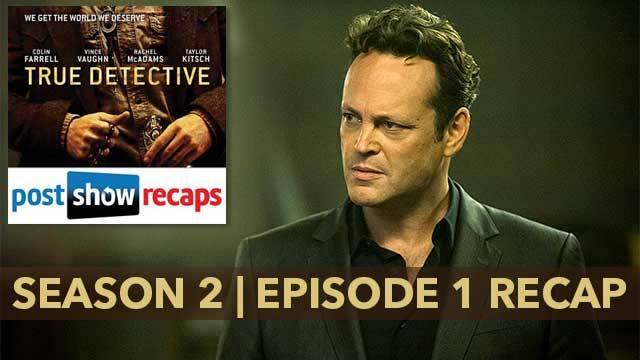 The original Yellow Kings of podcasting are here with their first recap of True Detective season two! Josh Wigler (@roundhoward), Jeremiah Panhorst (@jpanhorst) and Antonio Mazzaro (@acmazzaro) open up “The Western Book Of The Dead,” diving into all the mysteries and set-ups from the HBO crime show’s first new episode of its second season. The trio discuss the highs and lows of the four main characters and their performances, their thoughts on who’s responsible for the death of Vinci city manager Ben Caspere, the big differences between seasons one and two so far, and much more. Join us in the comments section below to keep the conversation going, and check back next week for another True Detective recap.